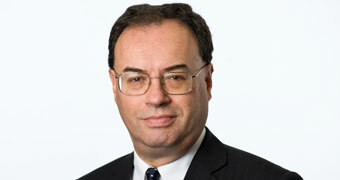 Speech by Andrew Bailey, Chief Executive of the FCA, at the Finance & Leasing Association (FLA). The FCA has been regulating consumer credit for almost four years and it continues to be a key sector for the FCA. We are looking at developments in consumer credit to ensure that lending is affordable and sustainable. We recognise that consumer credit is not a monolithic market and we are intervening on specific products including credit cards, overdrafts and rent-to-own. It is a pleasure to be here tonight. You don’t need me to remind you what an important role Finance & Leasing Association (FLA) members play in the economy and society. We certainly see it at the FCA, and I don’t mean that in a way to cause undue alarm. I am going to focus on consumer credit tonight. I will start with some very broad observations, then tackle what we are doing in the consumer credit area, and finish up with some points on our supervision. Probably the largest thing that has happened to the FCA in the first 5 years of its life is taking on the regulation of consumer credit, which it did in 2014, around the time of its first birthday. This added around 34,000 firms to the FCA’s total, taking it from around 24,000 to around 57,000. Actually, that is a net figure because during the last nearly 4 years around 36,000 consumer credit firms have come in and nearly 2,000 have gone out. Now, I think I can say safely that not all these firms belong to the FLA, not quite anyway – if they did, you would be looking for a larger venue tonight. We are living through a period of profound changes which affect all of us. We are living through a period of profound changes which affect all of us as citizens and your businesses. Long-term real interest rates have been on a downward path since the 1980s. More recently, since the global financial crisis, in many industrialised countries they have fallen well below zero. This is unprecedented over such a long period of time in conditions of peacetime and stable inflation. The fall in the real cost of debt has supported the rise in household borrowing. A good part of this has been a story about rising house prices and the accompanying increase in mortgage debt. But also, and particularly in recent years, we have seen a strong growth in consumer credit, and particularly among younger people. Evidence for this was also provided by an important piece of work we did last year, called Understanding the Financial Lives of UK Adults, or Financial Lives for short. It is a detailed study of a sample of UK adults, and all the data are available on our website – feel free to use them to support your own work. If there is any such thing as a free gift from the FCA, Financial Lives is as near as it gets. According to our survey, the age group between 18 and 34 have the highest levels of unsecured debt, averaging just over £8,000 per head including Student Loans Company loans (and student loans are significant here). It is also notable that in the 25-34 age group, 36% have been overdrawn in the last 12 months, 13% were overdrawn at the time of the survey, and 23% were considered to be over-indebted. It is reassuring that credit growth has not been disproportionately driven by those who are most vulnerable. But – and this is an important but – we should be careful not to generalise. We published another important piece of work recently, done with staff at the Bank of England, which asked the question ‘Who’s driving consumer credit growth?’. We analysed credit reference agency data for 1 in 10 UK consumers covering most types of borrowing, going back 6 years. We had 3 main conclusions: credit growth has not been driven by those with the lowest credit ratings; it has mainly been driven by people without mortgages; and people remain indebted for longer than product-level data suggest. To give you an example, borrowing on credit cards with 0% offers and motor finance are concentrated among people with higher credit scores. And, motor finance and 0% credit cards have accounted for a majority of consumer credit growth since 2012. In contrast, people borrowing on interest-bearing credit cards tend to have lower credit scores. What do we make of all this? As you know, consumer credit is not a monolith. It is a series of markets. It is reassuring that credit growth has not been disproportionately driven by those who are most vulnerable. But, I am not sanguine here. As I will go on to describe, even though the high-cost credit markets are small as a share of total consumer credit, and even though they are not the fastest growing, as a conduct regulator with a consumer responsibility my conclusion from our work is that the main issues and problems are in these markets. And, this is where there is a higher concentration of more vulnerable consumers. Firms need to ensure that any lending they advance, whether high-cost credit or not, is affordable and sustainable. Of course, borrowing can become unaffordable due to a change in circumstances, whether personal or macro-economic, that could not have been reasonably foreseen. But it is important that firms guard against that risk, by having effective policies and procedures for assessment of creditworthiness, including affordability. We published a consultation last year, aimed at clarifying our regulatory expectations. In doing so, we are not looking to be prescriptive. We want firms to have reasonable discretion to make decisions according to the individual circumstances, and taking account of the risks to the borrower, but we also want to set clear parameters. Of course, affordability assessment can never be an exact science, and things will happen that were unforeseen, so we also want firms to monitor customer accounts and act promptly where there are signs of actual or potential financial difficulties, and to treat customers in default or arrears difficulties with forbearance and due consideration. Consumer credit is an important part of our supervisory and policy business plan as we continue to work through issues that we perceive to be present in the industry. I want to review briefly our work across the market in its different sections. Today, we have announced the rules to implement the changes resulting from our study of the credit card market. In our work, we identified that around 5 million people experience real difficulties in paying off their balance and credit cards have become a source of long-term expensive debt, something for which they were not designed. And, it is not untypical for such consumers to be paying around £2.50 in interest and charges for every pound of balance they repay. Firms can lack incentives to tacking this as these customers are profitable. We have therefore introduced a set of measures designed to reduce the number of people with persistent credit card debt, provide individuals with greater control over credit limit increases and ensure that firms intervene to help customers with persistent debt, including providing options to switch to cheaper loans and show forbearance. I would stress that credit has a role to play, for instance in smoothing more erratic incomes or enabling the purchase of essential goods. There has been debate about whether we should be tougher by requiring action on credit card debt sooner in the cycle of events that can befall customers. We think that the timelines that we will require for intervention are sensible and reflect experience in the market and patterns of use. It is though, a delicate balance between requiring measures to be taken sooner and thus impacting people’s use of cards, and not leaving it too late and seeing debt problems escalate. So, we will keep this under review as the new rules come into effect. Are firms taking the right steps to ensure that they lend responsibly, in particular by appropriately assessing whether potential customers can afford the product in question? Are there conflicts of interest arising from commission arrangements between lenders and dealers, and if so are these appropriately managed to avoid harm to consumers? Is the information provided to potential customers by firms sufficiently clear and transparent, so that they can understand the risks involved and make informed decisions? Are firms managing the risk that asset valuations could fall and ensuring that they are adequately pricing risk? We expect to publish an update of this work in March. Turning to high-cost credit, and the range of lending products for those who are less well-off and with worse credit scores, I would stress that credit has a role to play, for instance in smoothing more erratic incomes or enabling the purchase of essential goods that would otherwise prove too expensive. Nonetheless we are concerned about the cost and terms of such credit and the propensity for over-indebtedness. And these things are linked. Some of the terms encourage over-indebtedness with little or no incentive to pay down debts. We are prepared to intervene and propose new rules where we have the evidence that markets are not working well for consumers. There is an emerging picture of a case for possible intervention in a number of markets but also a recognition of the limits of what can be achieved through traditional regulatory interventions alone. Looking at the shape of the overall market and considering how choices for consumers might be widened is therefore important context. In particular, in certain parts of the market we will seek to intervene to encourage alternatives to high-cost credit, particular those from the ‘mid-cost’ market. We authorise, supervise and enforce against our existing rules – we have already taken significant action where firms have not met our rulebook including creditworthiness and treating customers fairly. We can promote competition and innovation in the interest of consumers by encouraging new business models that better serve consumers, and addressing rules that might be preventing markets from working as well as they could. We can work with others to influence the demand in markets thinking about what drives demand for high-cost credit, the alternatives and how consumers can build basic financial resilience. We are concerned about the high fees and charges for unarranged overdrafts, especially when compared to their relatively small size. In 2016, for the 5 largest providers, annual revenues from unarranged overdrafts were around 200% of the average amount outstanding. The fees are also highly concentrated among users. Over half of total charges on unarranged overdrafts were applied to just 2% of accounts. We are concerned the pattern of repeated use of such overdrafts that lies behind this concentration may be exacerbating financial difficulties and therefore harm for consumers. Based on our work, we are assessing whether we should act to simplify charges to ensure they are clear and better reflect actual use as well as the role of unarranged overdrafts more broadly in today’s market. Arranged overdrafts are also part of this picture, though their costs are lower. The FCA has a programme of work across all the firms offering other forms of high-cost credit. I will take rent-to-own as an example. Since 2014, our supervisory work on rent-to-own has achieved better outcomes for consumers. Firms are now more transparent when displaying the cash value of goods, the amount of interest to be paid, and the total cost to customers. Our work has resulted in the unbundling of compulsory warranties and insurance. These are now offered separately and customers are able to obtain their own insurance cover instead. Together these developments help consumers understand what they are paying for and make it easier to compare prices with other retailers. We have also seen the firms change their business models in response to our concerns – including how they assess affordability and the action they take to help those in long term financial difficulties. Our work has so far resulted in nearly £16m of compensation being paid to around 308,000 consumers. This compensation relates to historic poor practices including unaffordable lending and inappropriate charges and fees. If we discover any further instances of consumer harm, we will require the firms to put things right for any affected consumers. We continue to have concerns around the cost of using this type of credit, particularly where add-on products are included. We are gathering further evidence as part of our High-cost Credit Review and we will present our conclusions in May. Looking across the range of high-cost credit products, we are exploring why relatively lower cost, mid-price, lower risk credit options are not more widely available even accepting the importance of assessing creditworthiness. We have been looking at barriers to the provision of alternatives and have been considering what might be done to address these. Increasing the options available will help reduce the risks of poor outcomes for consumers, in particular through reducing the incidence of people paying more for a product than they would with an alternative provider. I am not convinced that currently we have an appropriate system in this country for the sustainable supply of such credit. The FCA alone cannot make this happen, but we have started discussions using our ability to convene to see what might be possible and how stakeholders could work together. I would strongly encourage participation. We could do something here for the public good. I want to end with some thoughts on how we do our job. A year ago, we were consulting on our proposed Mission statement, the final version of which we issued last April. Many organisations and individuals, including the FLA participated in that consultation, for which I am grateful. Clear regulation is important, and there is a mis-match between the Consumer Credit Act and the rest of our powers. Two-way communication with the FCA is too difficult for small firms, the large majority of our 57,000. Consequently, it is hard for small firms to identify proposals to change regulation, and there is a real risk they will become discouraged and leave the market. Larger firms with dedicated supervisors may thereby enjoy a competitive advantage. The FCA should try to avoid being seen as the fixer for a whole raft of social policy issues, but we should at least in some areas seek to work with those who have more direct responsibility. We should publish our sector views, giving our assessment of each sector we regulate (something that we did last April). We are following up the publication of our Mission with work on the effectiveness of our major functions, including supervision. We will publish our approach to supervision next month. We are focusing our work here more around business models and governance and firm culture as drivers of harm to our objectives. We are moving to supervise firms as groups or portfolios with comparable business models. The portfolios will not be static because we recognise that business models do change. For each portfolio of firms, we will regularly agree the principal risks to consumers or markets that the group of firms presents, our programme of work to mitigate these risks, and the steps we will require firms to take. We will maintain contact to ensure that firms understand our assessment and the actions we are seeking. There will be a named supervisor for each portfolio, so you will have a named contact. We will be proportionate in our approach, and we will do this by assessing the potential risks to customers, the scale of likely possible harm and the potential vulnerability of those customers. Finally, on the Consumer Credit Act, we are reviewing the appropriateness of the retained provisions, and whether they provide the sort of consumer protection we regard as appropriate today. This is not really an issue about more or less protection, but about adapting older provisions for today’s world. We will publish an Interim Report this summer. Let me sum up. We have a lot going on. I have to be honest with you; I think the agenda we now see on consumer credit is a lot bigger than the one the FCA saw in 2014 when it took over responsibility. This is a product of experience. But it is also a reflection of just how important Consumer Credit is to our society. It merits careful attention.